Political advisers in the country, currently busy promoting Knesset candidates, would give anything for someone to love their clients the way the Israeli media loves its chiefs of staff. The series of blows exchanged between Israel and Iran in Syria earlier this week was described by one newspaper as a resounding Israeli victory, and by another as a brilliant ambush that the new Israel Defense Forces chief of staff, Lt. Gen. Aviv Kochavi, set for his adversary, the Iranian general Qassem Soleimani. In Haaretz, too, cartoonist Amos Biderman depicted Kochavi piloting a warplane and bombing Soleimani with missiles, while the latter wonders whether this is what a vegetarian chief of staff looks like. This sequence of events is not very different from what occurred last April-May, when the Iranians and the Syrians sustained casualties in a series of Israeli attacks. They tried to respond at that time, too, by means of a series of operations that the IDF preempted. And back then, as well, a final Iranian act of vengeance failed, when a volley of dozens of rockets aimed at Israel met a frustrating end, as far as Soleimani was concerned: Most of the rockets landed on the Syrian side of the border, on its part of the Golan Heights, and the few that got through were intercepted by Iron Dome. Indeed, in May, the media also praised the heroism and wisdom of the army’s commanding officers – although it’s now all the more clear that nothing was decided: The Iranians did not abandon their efforts to smuggle weapons to Hezbollah in Lebanon via Syria, or to widen their military foothold in Syria. And then this week too Soleimani tried – and failed again – to impose a new deterrent balance in the area by signaling to Israel that when it decides to attack in Syria, it must take into account not only Syrian antiaircraft fire but also the possibility of a heavy missile being launched into Israeli territory. Israel’s victory in May was thus less clear-cut than many tended to believe. Nothing has been settled yet. What’s underway now is an exchange of blows amid an overall, lengthy campaign, most of it at taking place at relatively low intensity, far from public scrutiny. According to IDF Brig. Gen. (res.) Shimon Shapira, an expert on Iran and Hezbollah who is now a senior research associate at the Jerusalem Center for Public Affairs, this week’s events show that the Iranians are willing to take risks against Israel, even to the point of precipitating a limited confrontation with the IDF. Another puzzling issue concerns the scale of Iran’s arms-smuggling efforts and its attempt to entrench itself in Syria. Just last month, the IDF claimed that those efforts had been substantially diminished, in the wake of pressure from Moscow on Tehran. Russia, it was explained, is apprehensive that military friction between Iran and Israel on Syrian soil will hinder the continued stabilization of President Bashar Assad’s regime. Accordingly, the Russians were said to be trying to restrain both Iran and Israel. 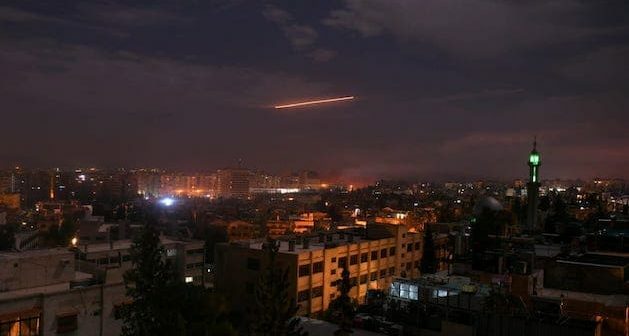 Now we’ve had two Israeli attacks in the Damascus area within 10 days. Was this an urgent operational need in light of a change that occurred on the ground, or an attempt to change the rules of the game (and preserve freedom of maneuver) in the skies of the north? For some months, the chiefs of staff – first Gadi Eisenkot and now his successor, Kochavi – have appeared to be fully coordinated with Prime Minister Benjamin Netanyahu. 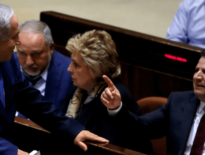 Initially, this situation prevailed to the chagrin of the defense minister, Avigdor Lieberman, who subsequently resigned. Lieberman pushed for a broad operation against Hamas in the Gaza Strip; Netanyahu and Eisenkot preferred to focus on the north, first in Operation Northern Shield, to destroy the attack tunnels dug by Hezbollah below the Lebanon border, and afterward in the ongoing resoluteness in Syria. The developments of the past few months in the north benefited Netanyahu throughout: The situation did not lurch out of control and so far things have not deteriorated to the brink of war. The security-based agenda serves him vis-a-vis the public, given the double challenge he faces of the police investigations and the looming election. The IDF, too, would like to maintain good working relations and common interests with the prime minister, especially considering he is also the defense minister. Just as the operation against the underground tunnels supplied something of a militant finale to Eisenkot’s tenure, the attacks in Syria are now helping to establish an aggressive image for his successor. This is all the more pertinent with Kochavi facing a more important and more urgent mission, for which he will need Netanyahu’s full support: the formulation of a new force-building plan for the IDF. There are multiple advantages inherent in close cooperation between the political and military arenas. Yet, a different question arises: With the continuation of the attacks in Syria being convenient to both of them, will there be someone to sound the alarm if the confrontation with the Iranians escalate to the point at which we are liable to lose control? On Wednesday, following two days of silence, a spokeswoman for the Russian Foreign Ministry condemned the latest attack in Syria and called on Israel to desist from further such operations. 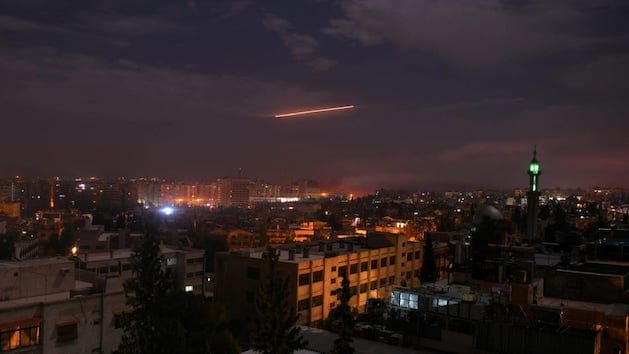 It’s possible that these bombing runs – and the scrapping of the policy of ambiguity, in the form of declarations by Eisenkot and Netanyahu (the latter even tweeted that he had “renovated the airport in Damascus”) – went too far from the perspective of Moscow and Tehran. The result could be a strategic misstep, to which the IDF will also have contributed its part. A very similar process, in which a security problem is intertwined with political needs, is also underway with regard to the Gaza Strip. Neither the prime minister nor the army want a war there and therefore both agreed to an arrangement whereby Qatar would inject $15 million a month into the Strip – even though it’s clear that part of that money ultimately makes its way to Hamas. But Netanyahu wants to be elected to a fifth term as premier, and Lieberman’s persistent sniping about how Israel is paying protection money to Hamas doesn’t help him among right-wing voters. Stanley McChrystal, the retired U.S. Army general who was commander of American forces in Afghanistan and before that of special ops in Iraq, apparently didn’t read the latest reports from Israel about Qassem Soleimani’s painful defeat. An article he published this week in Foreign Policy contains surprising praise for the Iranian general. The American general describes the Iranian adversary as a combined product of the Islamic Revolution in his country and of the protracted Iran-Iraq war in the 1980s. Iran’s complex political arena has allowed him to head the force for 21 consecutive years. His success is due to his skills, but also to the stability afforded by such a lengthy tenure, the kind that American commanders can only envy. Soleimani, McChrystal writes, is an extraordinarily dangerous person – and he occupies a position that could affect the future of the Middle East. That wasn’t the only time Soleimani was in the crosshairs of either the Americans or other foes. A year later, in February 2008, Imad Mughniyeh, who was described as the commander-in-chief of Hezbollah, was assassinated in Damascus. In 2015, The Washington Post quoted American intelligence personnel as saying that Soleimani had been standing next to Mughniyeh when the latter got into a jeep in which a bomb had been planted. According to the paper, the assassination was a joint Israeli-American operation, and it was the Americans who at the last minute vetoed the killing of Soleimani as well, on the grounds that he was not an original target of the operation. In his exit interviews with Israel’s TV news programs, Gadi Eisenkot was asked over and over about the possibility of Israel deciding to assassinate Soleimani. Eisenkot chose not to respond.